In the late 1600s, before computers and even before electricity, openness and transparency trumped closed-door decisions that could leave the rest of us in the dark. Take the Web, where nearly any person can make a website on just about anything with a small amount of effort. The site does not even have to be good at what it’s doing, because the Internet itself is the most essential open system on the planet. Now, we live in an age of crowdsourced projects fueled by the ability to find almost anything we want to know or use on the Worldwide Web. In the enterprise openness refers to the adoption of technologies like mobile applications and wearables that impact the workplace because of the opportunities said technologies provide, like collaborative project management and more intuitive performance feedback. In areas like sales or operations, open technology helps to establish employee-led innovations and new ways of measuring success. The lack of restrictions lets employees tackles a job in a way they see fit, ultimately making them more productive. Openness regarding learning and development refers to both movements for open access (OA) and open educational resources (OER). 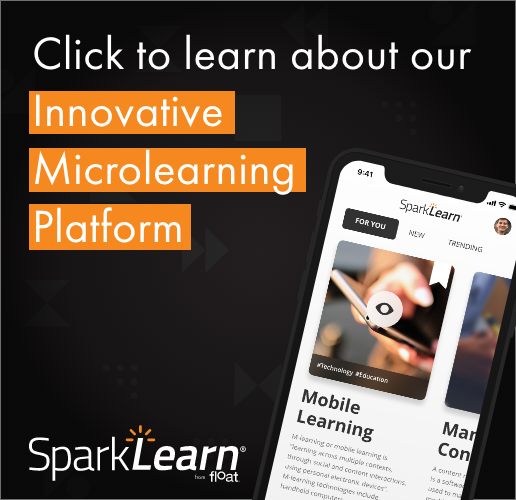 Open learning technologies come in many forms, like open source learning management systems such as Sakai, free and open courses found on the Internet as by those offered by Khan Academy, and massive open online courses (MOOCs). The most prominent and most easily recognizable area where openness is a major focus is in the smartphone market. Dubbed by TIME magazine as “the most important battle in technology,” the contrasting approaches to the future of computing by Apple and Google can be described in the simplest of terms – closed vs. open. 1 in every 5 people in the world owns a smartphone, and 132 Million working professionals use a smartphone at work. Everything from the customization of home screens to each company’s respective application markets can make it difficult to choose which one is best for personal and business use. The most significant difference, however, is that for a long time, Apple was a primarily closed system while Google’s was open. In the Apple ecosystem, applications that are considered for the App Store still have stringent guidelines to follow – even if the process comes under scrutiny now and then. The operating system itself is not inherently made to be “broken” or altered. However, this means that the chances of your Apple device getting a virus is low, and your information is much more secure. Aside from a few complaints about customization, Apple’s system is designed to be clean-cut and reliable with a strong emphasis on stability and security. The closed system works well within the Apple ecosystem. But where this falters is in intent. In some ways, it felt for a very long time that Apple just did not trust users enough to let them tinker with their software unless it was how Apple wanted it to be. And even then, the security can still be breached. Google’s ecosystem is built almost entirely around layered partnerships that have translated into varying degrees of open-source projects for the benefit of all users. It takes minimal effort to jailbreak an Android device, developer options can be toggled on and off in some handsets, and most applications can be published to the Play store so long as they are not made with malicious intent. From the start, Google has given the Android system to the developer community for free, resulting in dozens of innovations. But there are risks to this, as well. Remember the Virus Shield App? While it will always be debated on whether Apple or Google is the ruler of the smartphone market, no one can honestly say one is better than the other. Eventually, Apple released tools like software development kits (SDKs) and application programming interfaces (APIs). By opening the toolbox that Apple themselves used, millions of developers could work together for free. The annual Worldwide Developers Conference (WWDC) further allows Apple to really determine how much control is needed from both the consumer end of the spectrum and the company itself. 1. Disrupting the traditional vendor model. Most teams in organizations are relatively small, with most projects and purchases being built on longstanding relationships with vendors who are intimately acquainted with the needs of the business. 2. Requiring newer experts when implementing systems. Most experts are in academia. 3. Determining what information can be shared and controlled. How do you businesses determine who the moderator of content is? Would it be an executive? A developer? An intern? 4. Concerns about privacy. Is the information of the users or the content itself being put at risk? These are all valid concerns, but the benefits of adapting to an open system far outweigh the potential threats. For example, concerns about privacy can be morphed into a rewrapping of content that makes all security in the company stronger. Finding a moderator can perform two purposes by allowing a new expert to provide help in the right areas before the content is accessed. WWDC is proof: If a company as influential as Apple is finally acknowledging the usefulness of gradually opening its ecosystem, then the future of computing is about openness. Adapting to an open system means that your company can adapt to change. For more information about how the open technology can prove useful to your organization, grab Float’s free white paper on the CHAMPIONS framework. Dorsey Dixon graduated from Bradley University with a degree in public relations and organizational communication. Dorsey also holds a degree in network systems administration from DeVry University. He is an avid reader who is currently working on his first novel. What’s the Difference Between an EPUB, a PDF and a Digital Publication?